Following the end of the World War political attention turned back to domestic matters including economic growth and union organizing. 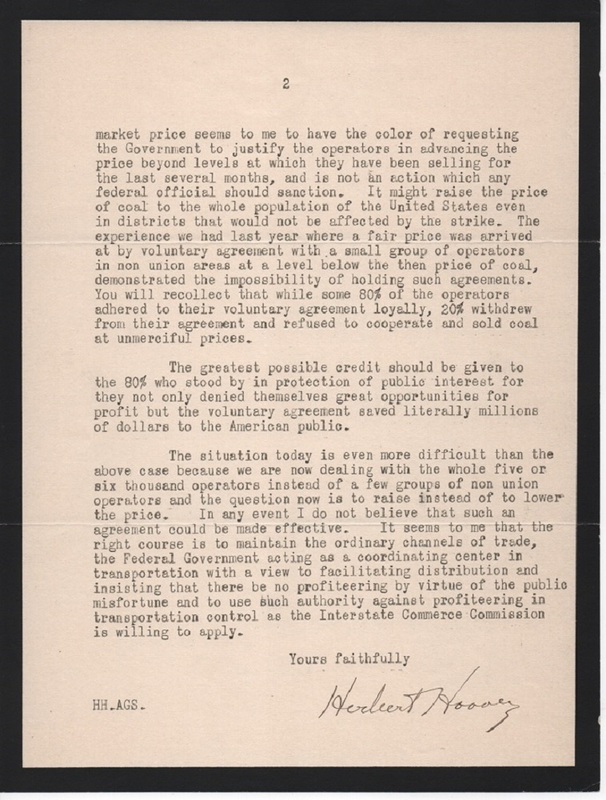 Two areas of frequent union activity involved coal and rail disputes. 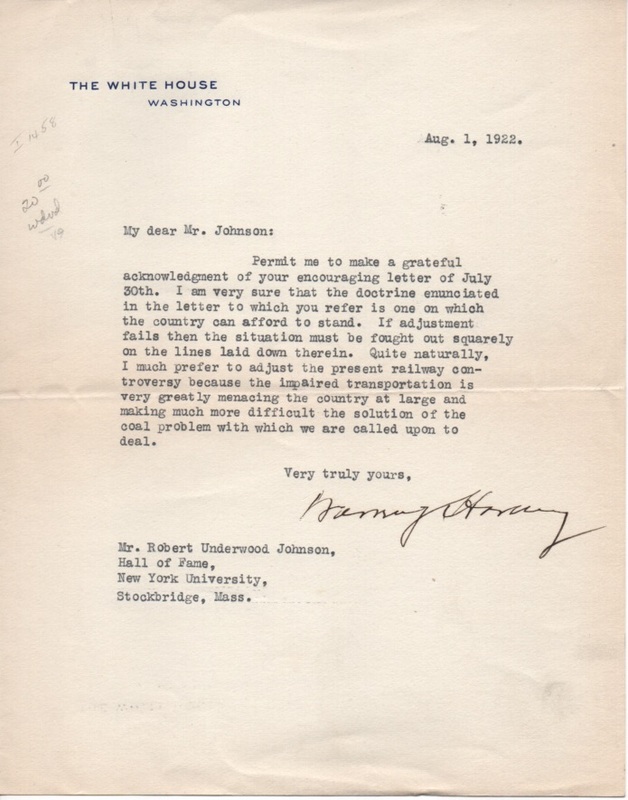 The three post-war Republican presidents were caught between wanting labor peace without interfering with private businesses and concern about inflation following wage increases. 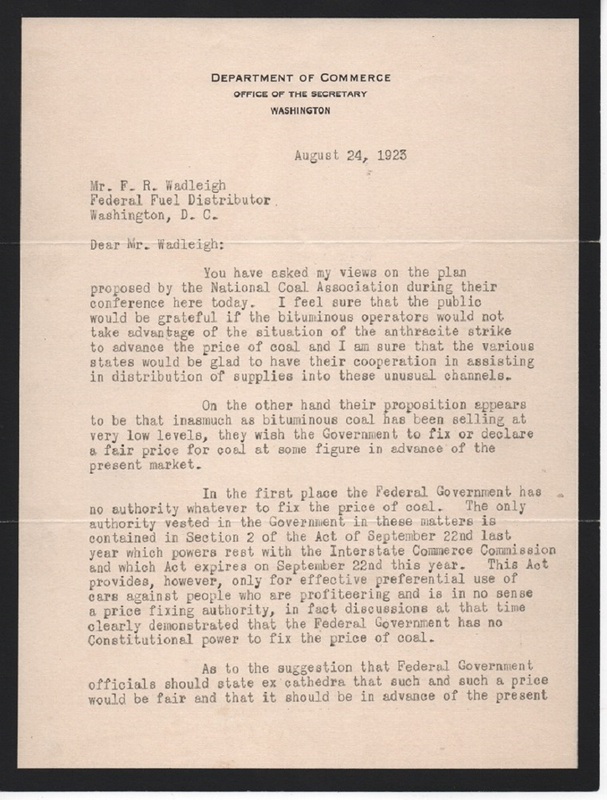 These letters offer an intriguing glimpse of three perspectives on politics and policy to a common challenge of the coal strikes of the 1920’s. 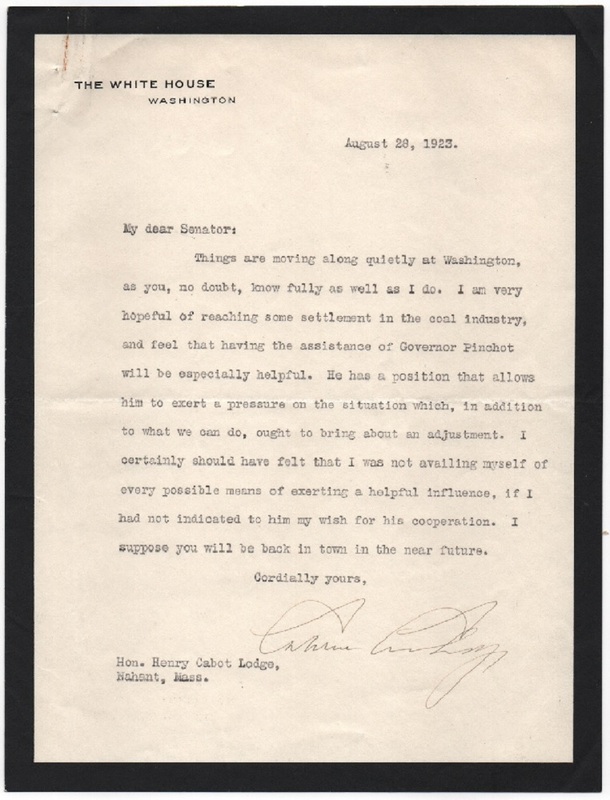 The Coolidge and Hoover letters are especially nice because they are on official mourning stationery honoring Harding.